I'm kind of having a less than wonderful day. Ugh. 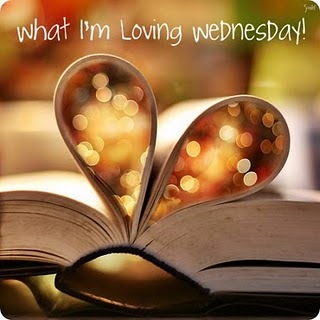 So maybe i should join in on "What I'm Loving" Wednesday...thinking about the good things in life always lifts my spirits! I'm lovin' re-reading the book "Something Borrowed" by Emily Giffin. It's definitely good enough to read twice. I can't wait till I have time to go see it in theatres! I'm lovin' that today was free lunch from subway! I'm lovin' that today's paper included this fantastic review of It Runs in the Family (the show I'm currently Stage Managing). I'm LOVING my husband's beautiful piano playin'. He's playing right now & i love it. It makes my heart melt. I'm lovin' Lauren on American Idol. She sounds amazing, looks amazing & makes me smile! Love that kid! I'm lovin that my husband thinks my whining is cute & that yesterday, when i spilled an entire pan of rice all over the floor, he RAN to the kitchen to clean it up & refused to let me do it. He said i was already upset, having to clean it up too would only make it worse! He's sweet like that! He doesn't get mad at me for emailing him pics of houses even though buying a house is just soooo not even close to something we can afford to do right now! I'm lovin that Fievel FINALLY got groomed! He looks like a different dog! I'm lovin that i got to come HOME 3 days this week - instead of going to the theatre for another several hours. Tomorrow, though, it's back to the theatre! Which is fine! I do enjoy it! I'm lovin that i get to go on VACATION in one month!!! AHHHH! Okay... I am sleepy...enough of this! It was fun, though! I just read a book by Emily Giffin for book club... Heart of the Matter. It was good. It made me mad a lot but it was still good haha. Yay for vacation & sweet husbands. That was really sweet of him! The movie is great. I loved it and want to see it again. I wasn't sure how I preferred the ending to be. I was a little torn between which guy but thought it was great! Fifi looks refreshed! Milo needs a groom this weekend too. I can't wait to see that movie! I love Emily Giffin's books! Haha, Dylan helps me clean up stuff like that when I'm having a rough night.